Christmas is a time to share and the perfect event to show the people you love that you truly care. Relive your favorite Christmas moments while indulging in delicious, creamy, and tasty treats. “Sleigh the buffet” table with dishes savored with Jolly Cow Condensada. Every luscious drop of Jolly Cow Condensada is rich, thick and perfectly sweetened that allows you to make tasty desserts as often as you want. It is also affordable, giving you the liberty to generously add sweetness to your Christmas favorites! 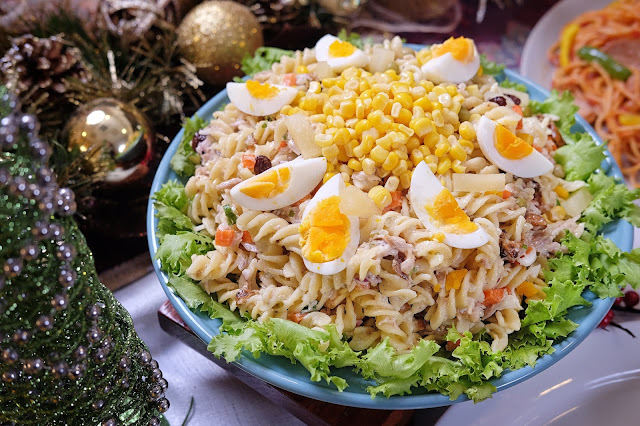 Deck your holiday buffet with mouth-watering, indulgent Leche Flan and Fusilli Salad that double as festive centrepieces. Whether you’re planning a cocktail party, hosting a Christmas get-together, or just celebrating an intimate dinner with family and loved ones, these recipes from Jolly Cow Condensada will surely make your Christmas a holiday to remember. 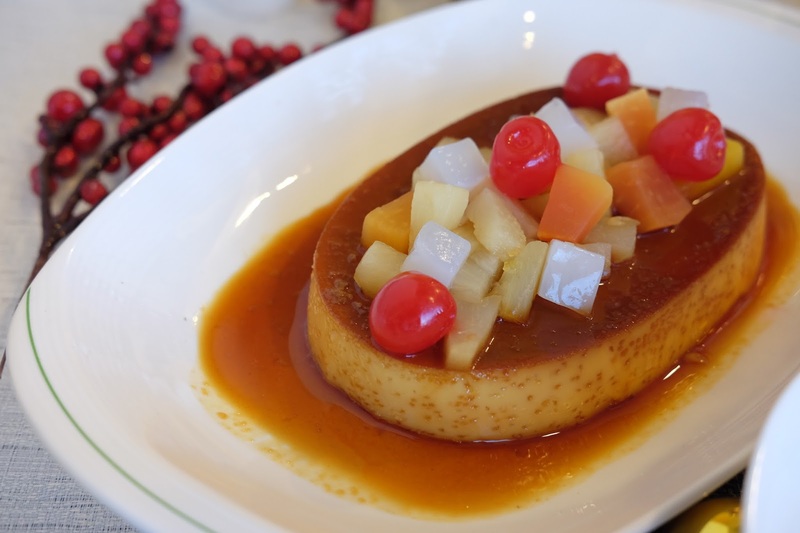 You know what they say, there’s always room for dessert – especially if it’s the classic staple leche flan! Satisfy sweet tooth cravings by combining traditional flavor and modern, fruity flair. Prepare the Caramel: In a saucepan, bring the water to a boil; reduce the heat to low before adding the sugar. Stir continuously for about 2 minutes or until the sugar caramelizes or turns amber. Immediately pour the caramelized sugar into prepared individual flan mold. Swirl the flan mold to evenly spread the caramel. Set the mold aside. 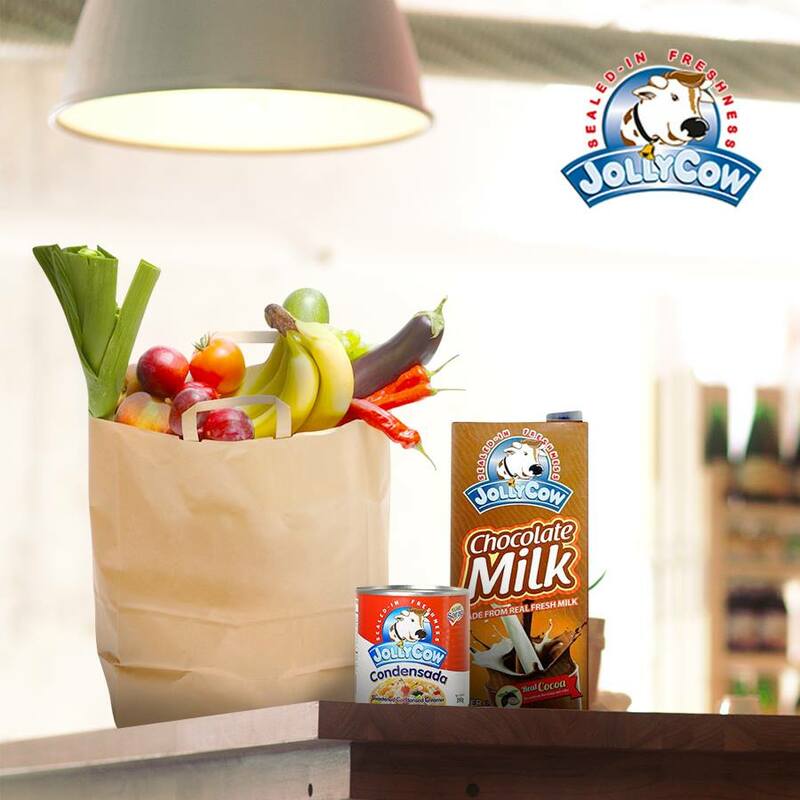 In a bowl, combine evaporated milk, Jolly Cow condensed milk, sugar and dayap. Gently pass the beaten eggs through a strainer into the bowl. Stir to combine and mix thoroughly. Pour the mixture into the prepared flan mold containing the caramel. Cover the mold with aluminium foil, arrange into the steamer (water should already be boiling before placing the mold inside); steam for 30 minutes or until firm. Set aside to cool and then refrigerate for at least 2 hours. Top with Jolly Fruit Cocktail upon serving. Ring in the holiday season with a fusilli salad that is a sure crowd-pleaser! It is delicious, hearty, and probably the best thing you'll eat all holiday season long. In a large bowl, combine pasta, chicken, carrots, eggs, ham, cheese, Jolly Pineapple Tidbits, Jolly Whole Kernel Corn, Jolly Green Peas, sweet pickle relish, raisins, onions, Jolly Real Mayonnaise, and Jolly Cow Condensada. Gently stir together until evenly distributed. Season with salt and pepper to taste. Refrigerate for about 30 minutes.